Andrew Mullen, professional music educator, has a wealth of experience and training. In addition to being a teacher, folk musician, multi-instrumentalist, songwriter, Square Dance caller, and lifelong learner, he is honored to serve as Burlington Public Schools Music Curriculum Coach. At Marshall Simonds Middle School, he directs Choral Union, Select Chorus, House Band, and teaches general music. At Burlington High School, he is the Music Director for the annual Spring Musicals. 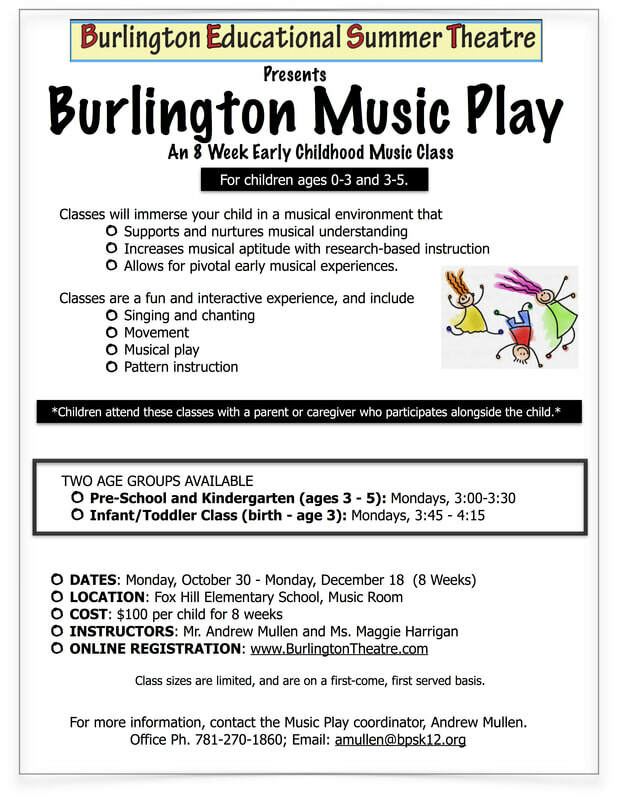 Mr. Mullen is thrilled to launch Burlington Music Play, an early childhood music class. He has taught all levels of students in a number of subjects, and holds masters degrees in both Music Education and School Administration, as well as certifications from the Gordon Institute of Music Learning (GIML) in Elementary General and Early Childhood Music. For more information about Andrew’s work, go to www.TheImprovingMusician.com.